Eeny Meeny cafe in Frankston was recommended to me by Frankston locals as the best cafe in an area which isn’t particularly well known for its dining out options. 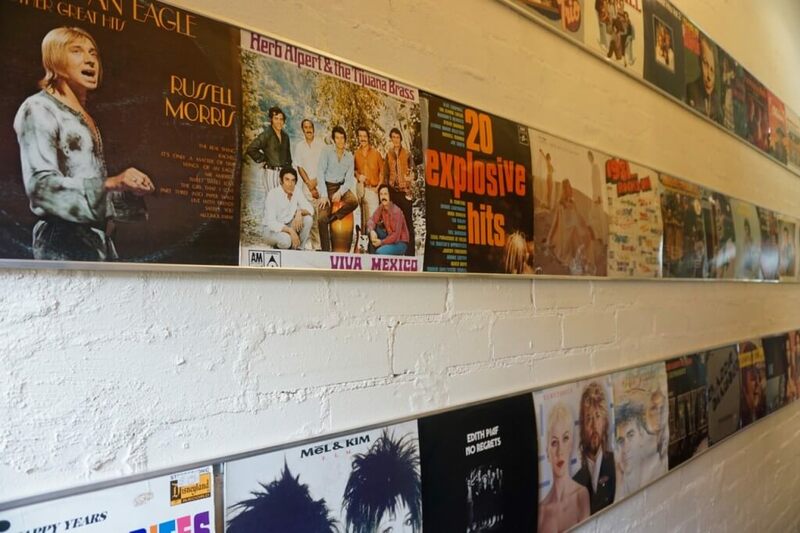 The eclectic retro decor gives the inside front room a cosy feel and there are lots of fun elements to admire, such as vintage teacup spoons and old record sleeves. The back courtyard is suitable for all seasons as it’s undercover and fitted out with a large fan and wall heaters. It’s got the best seats in the house I think because you can eat your meal to the soothing trickling of the fountain and the fishpond. 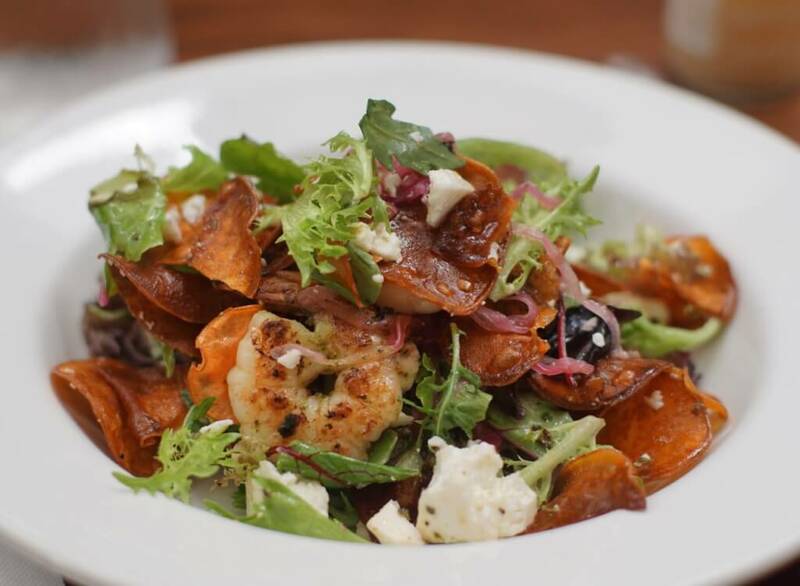 I listened to the soothing trickling of the fountain and fishpond while digging into an excellent prawn salad with half a dozen fat charred prawns, a large handful of salad leaves interlaced with crispy sweet potato chips and feta ($24). Creamy, crunchy, juicy and fresh, all on one generous plate. 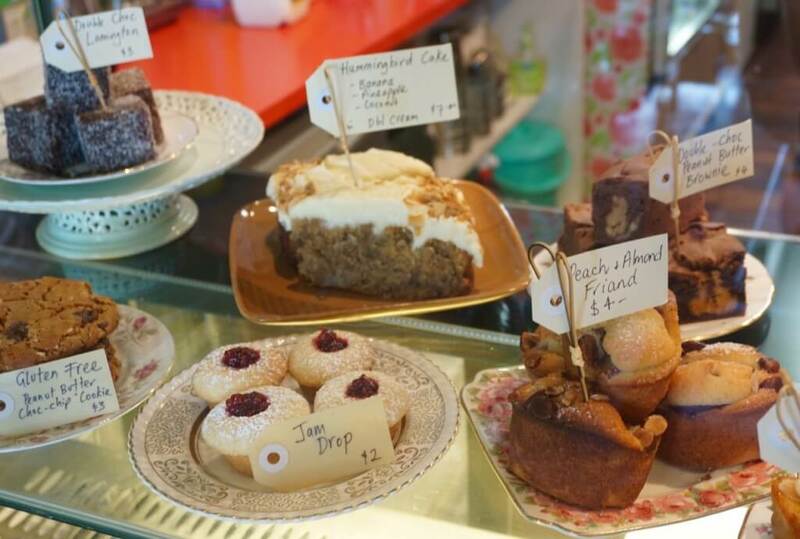 The sweets filling the tempting glass cabinet are mostly baked on site if you still have room for more. 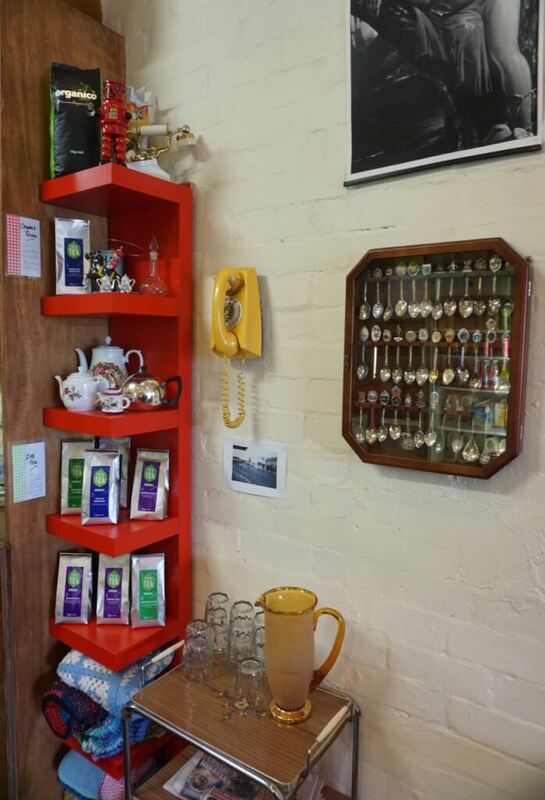 The cafe serves organic, fairtrade and Rainforest Alliance coffee and organic leaf teas. 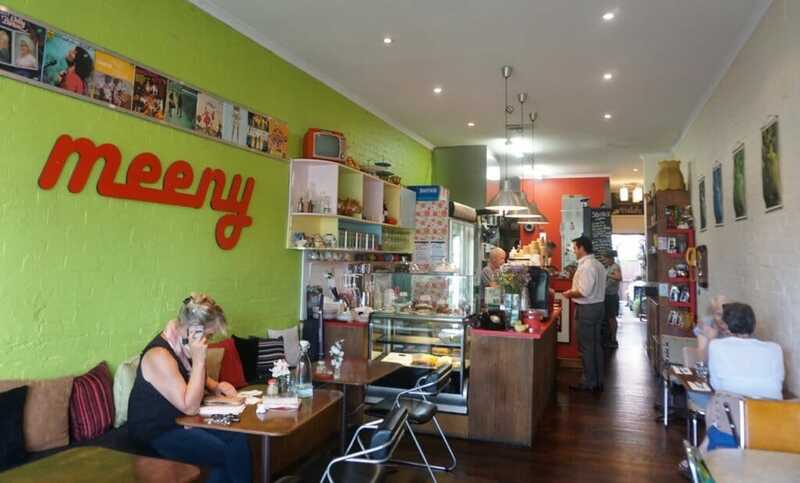 Eeny Meeny is Frankston’s answer to the ‘inner-city-Melbourne’ cafe and worth noting if you’re in the area.